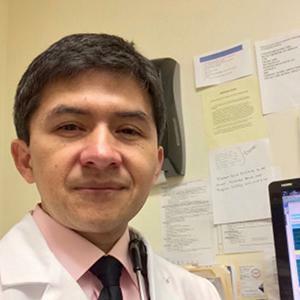 Mr. Zavala, RPA-C is an Advanced Medical Provider in Internal Medicine in New York State. He attended and graduated from The CUNY School of Medicine in 2012, receiving his Physician Assistant Certification. He obtained his medical degree from the Universidad de Guayaquil, Ecuador in 1998. Dr. Zavala has more than 20 years of diverse experience in Emergency, Preventive and Internal Medicine. He is an Associate Anatomy professor and clinical mentor for the CUNY Medical School and participates as a clinical rotation preceptor for the Nursing Practitioner Program at Lehman College. Every year, he participates in medical missions with colleagues and on his own. Dr. Denise Levy is originally from Jamaica and completed her Bachelors Degree at Oakwood University in Huntsville, Alabama. She matriculated from Barry University School of Graduate Medical Sciences in Miami Shores, FL, with degrees in Podiatric Medicine and Surgery and a Masters in Biomedical Sciences. She then completed Podiatric Medical and Surgical internship and residency at the University of Texas Health Science Center at San Antonio under the guidance of Dr. Lawrence Harkless, Dr. David Armstrong and Dr. John Steinberg, leaders in the field of diabetic limb salvage. In addition, she completed a Surgical Fellowship in Foot and Ankle Surgery at the North General Hospital, an affiliate of Mount Sinai Hospital in New York. Dr. Denise Levy, has a passion for the treatment of complex diabetic lower extremity wounds and the underserved community. 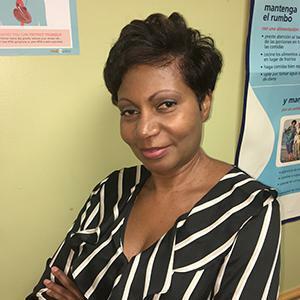 Her skill sets and knowledge has enabled her to be an integral part of the limb salvage team at Montefiore Medical Center where she has served as a Supervising Physician in the Hyperbaric and Wound Care Center since 2003. This center provides other options for limb salvage for the diabetic population in the surrounding community. Years of experience has afforded her the privilege to embrace the benefits of collaborating with needed specialties in order to foster better prognosis in this fragile patient population. The team approach towards limbs salvage in invaluable. Since 2009, Dr. Levy has also maintained private practices at locations within the boroughs of the Bronx and Manhattan. There, she still provides podiatric medical and surgical care for maladies that include but are not limited to : bunions, hammertoes, neuromas, sport injuries, fore-foot fractures, strains, dermatological diseases, sprains, tendonitis, capsulitis, biomechanical issues of the foot requiring orthoses and/or shoe modification. She is a certified wound specialist with ABWM, board certified by ABMSP and ABPM. She values her role as a podiatric physician and is committed to developing relationships with each patient that is built on mutual respect and trust. Her capacity to care for the underprivileged was evidenced by numerous medical missions to third world countries to include Haiti and Jamaica. She is open to new experiences and different cultures and enjoys travelling, that provides much needed reprieve from her busy professional commitments.